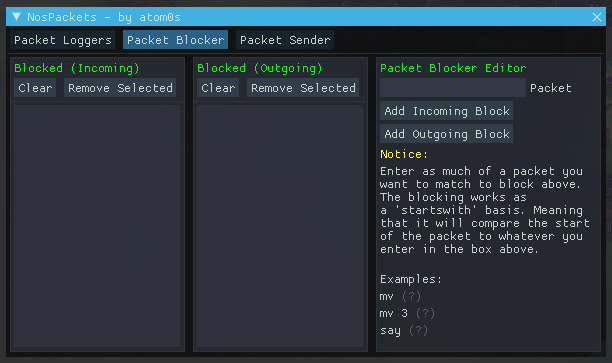 NosPackets is a plugin for the NosHook project that contains various tools related to packets. 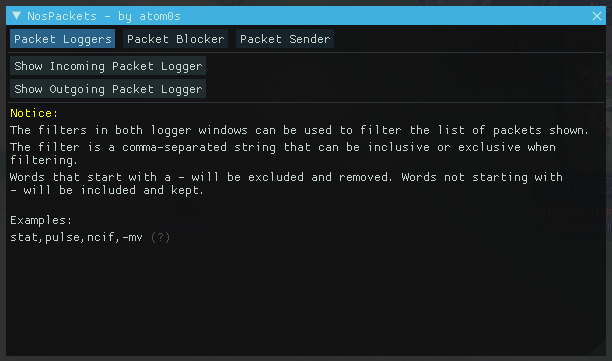 Incoming and Outgoing packet logs with rich filtering features. 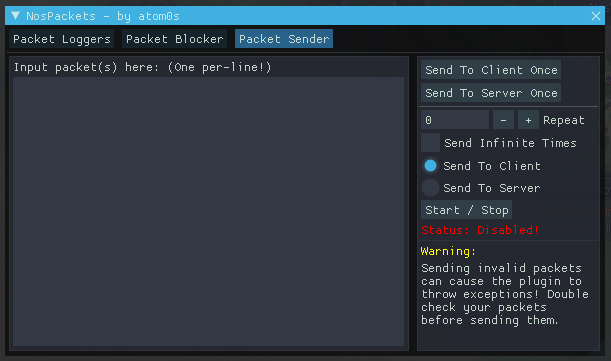 Packet sender to send packets to the client or server, with single sending, repeat sending or infinite sending. Download the plugin file below. Extract the .dll file to your NosHook/Plugins/ folder. NosPackets can be downloaded via the NosHook injector on the Plugins page. NosPackets can now be downloaded and kept up to date using the new NosHook injector. I was looking for packets in Channel 1 (it was very crowded). Then this exception appeared shutting down NosPackets: '[Plugins] Plugin 'nospackets' threw exception on HandleIncomingPacket: EXCEPTION_ACCESS_VIOLATION '.